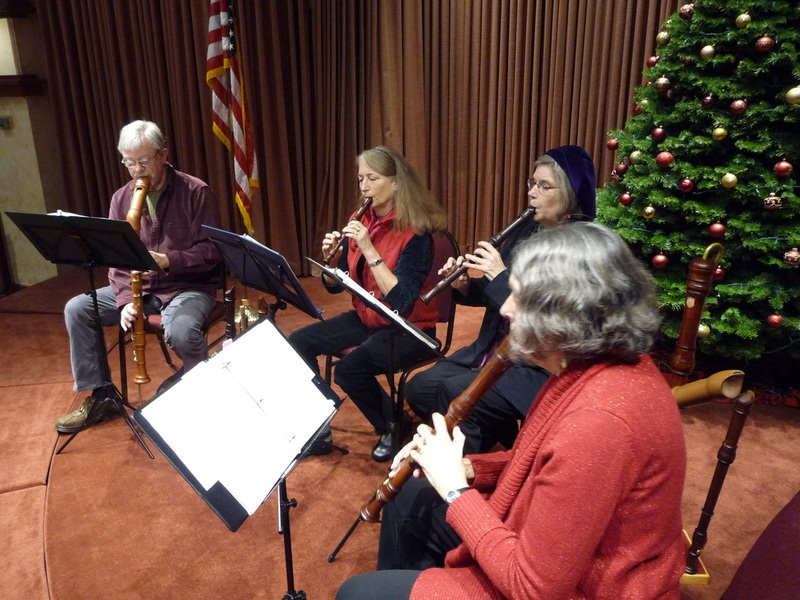 Our Holiday party featured The Plein Aire Recorder Consort, a group of local recorder players who happen to be friends as well. The members are: Dale Celidore, Ellen Johnsen, Nancy Kesselring, and Dan Lapsansky. They have performed as the Queen's band at the Much Ado about Sebastopol Renais-sance Faire. Frequently heard around the West County, the group plays at parties, gallery openings, luncheons, dinners, faires, weddings, and memorials. They often play in in Renaissance costume, most recently at events at the Castella di Amoroso in Calistoga, CA. 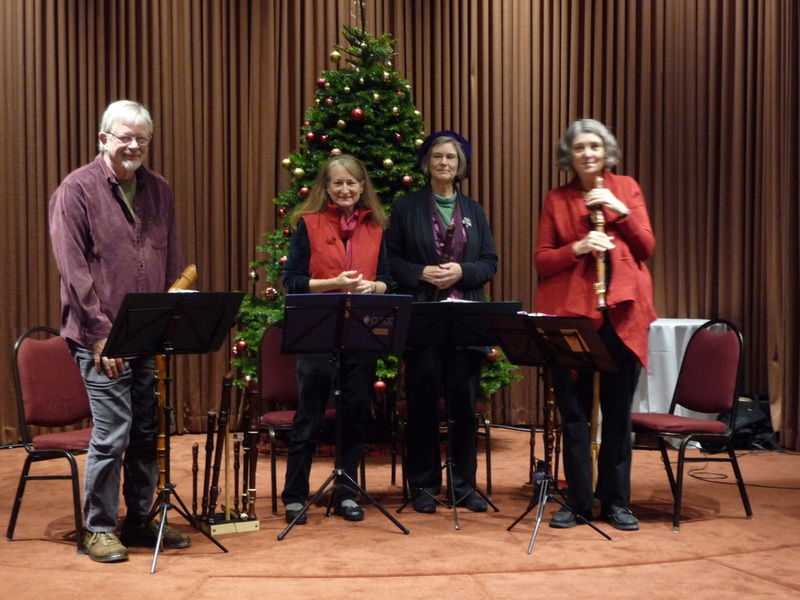 They also performed at the November 17 Sonoma County Museum opening of the new Thomas Cole Exhibition and at the Finley Center Dickens Craft Faire.